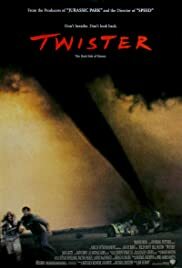 Twister while it has it's flaws, still manages to be a fun ride. It's the kind of movie where you can enjoy the spectacle without thinking too much about plot mechanics. It's one of the more memorable movies of the 90's, due in no small part to the groundbreaking special effects.